IMPORTANT: Be Sure To Follow This Contest Requirement. When choosing your 6 items, be sure to use items from the OKL collection found on Olioboard here on within the moodboard creator under the brand tab. It is the only way we can prove that the entries are eligible. I know that some of you have uploaded OKL products to your account to use them in your designs but at this time, personally uploaded items do not show on board detail pages, meaning we cannot see which are from OKL and which aren’t. 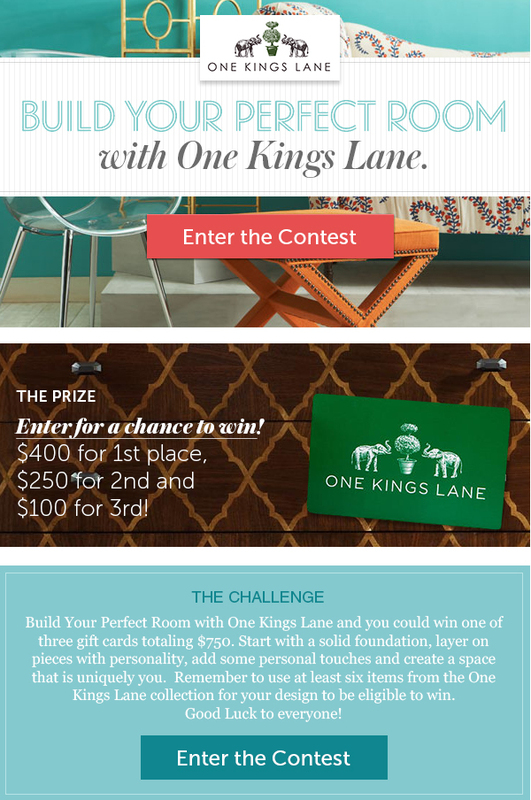 If you have already entered the contest and grabbed items from One Kings Lane site using our browser clipper, please update by using items found in the Olioboard OKL collection to ensure you’re considered during the selection of winners. We have just added in more products from OKL today so likely many of the ones you’ve personally uploaded with our browser clipper are now available on Olioboard.com. Sorry for any confusion and good luck!